* Preserving the independence, unity and territorial integrity of the Islamic Republic of Iran. * Increase participation in peace and stabilization policies, with emphasis on regional balances. * Promote Iran defense industry capabilities in meeting strategic requirements. * Emphasis on passive defense in compliance with the requirements of development projects and land use planning. * Soft power enhancement by means of increased visibility and positive image of the armed forces. * Linking knowledge, power and strategy in industry and Iranian DoD missions. * Air defense research, air defense missile systems, radar detection, recognition and tracking, advanced AD command and control. * ICT: stable, secure communications, electronic warfare and cyber defense. * Naval priorities: light and heavy combat ships, submarines, and further development of anti-ship weapons. * Aerial priorities:: further UAV development, optimizing local production [upgrades] of combat, support and commercial aircraft as well as rotary wing aircraft. * Aerospace: improved performance and precision of SSMs, TELs, satellites and ground stations (directing, controlling and receiving). * Refinements of tactical and technical capabilities of Artesh weapons, ammunition and equipment. * Police and Border: technical support, manufacturing and supply of equipment and materials, fullfilling requirements of law enforcement mission requirements. Suggested further reading and the source for reporting on Dehghan's confirmation process can be found at mashreghnews.ir or by clicking HERE. Good choice. Solid military experience and Sepah credentials. With Khamanie being the commonder in chief of the armed forces, it is not clear whether he has any ministerial control over the commanders of Army and IRGC. Can someone on the know shed some light on this? Iranian armed forces like most democratic countries operate under the Constitution and the Rahbar or Supreme Leader is nominally the Commander in Chief,like the US or French Presidents. However, the Artesh (military) is totally professional and has a professional command structure where officers are promoted on merit. The Artesh played a leading role in repelling Saddam's invasion and slowly evolved during the 8 year old brutal war. Colonel, later General Sayyed Ali Shirazi is widely assumed to be the architect of the modern Iranian Artesh. Pragmatists among the early post-revolutionary leadership argued for the restoration of the preeminence of the traditional armed forces (the artesh) because of their military proficiency in the face of the existential military threat posed by Saddam Hussein’s invasion. Iran’s security forces developed organically in the course of the revolution, and even more during the Iran-Iraq War or Jange Tahmili (1980-1988). Ayatollah Khomeini encouraged the growth of multiple competing military organizations during the revolution. In particular, he ordered the formation of the Islamic Revolutionary Guard Corps (IRGC) in May 1979 primarily for the purpose of securing the revolution from internal challenges as the terror campaign by MKO was at its peak, but also with the aim of exporting the revolution beyond Iran’s borders and supporting its regional allies. Only five security organs report either directly or by separate paths to the Supreme Leader: the IRGC, the Qods Force, the Law Enforcement Forces, the MOIS, and the regular military forces. The basij reports to the IRGC commander, and the IRGC and the Qods Force maintain close personnel links with Lebanese Hezbollah, Iraqi military and regional allies. The Supreme Leader’s preeminence does not mean that the president and parliament can be ignored. The entire system is designed to ensure its own stability first and foremost, to allow the Supreme Leader to remain above the political fray. Thank you for your detailed response but I am not any wiser on whether he has any ministerial control over the commanders of Army and IRGC. "Iranian armed forces like most democratic countries...."
Yes, the defence minister for armed forces and intelligence minister for MOIS. It appears I am not using the right language . I rephrase the question in simple language. 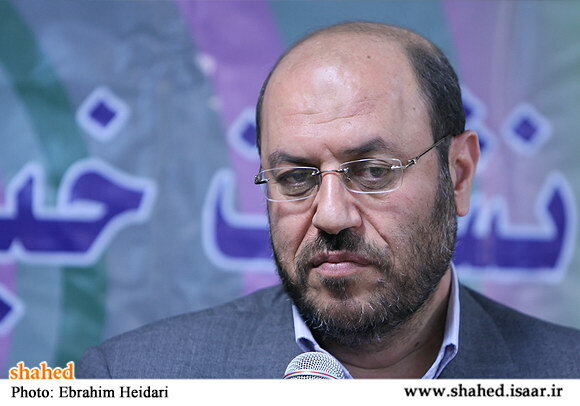 Can Heidari order Firuzabadi and Jafari to get back to their barracks and not to interfere in politics? For ideological regimes interfering in economic and social political issues is part of its make up.Good examples,Nazism,Communism and Islamism. Dear Reader, Iran is a complex society and there are no simple answers. Historically, in any state the military is politically influential. Iranian military has overtly meddled in politics since the Persian Empire and Reza Shah, a Cossack officer himself started the Pahlavi dynasty via a coup. His son in 1953 via operation AJAX and through colonel Zahedi was reinstated via a coup that displaced Dr. Mossedegh. Then the military under Oveissi and Javedan's ("Immortals" after the ancient Persian royal guard or Persian Immortals) Ali Neshat did interfere in 1979 with a disastrous decision to attack demonstrators at Jaleh Square. However, since the revolution the military command has been totally professionalized and the Sepah was created as a Praetorian Guard to protect the revolution. So in your hypothetical question, the Artesh is already in the barracks and there is no chance of Firoozabadi or any general organizing an Egyptian, Turkish or Pakistani style coup. However, the Sepah, recognized as a component of the Iranian military under Article 150 of the Iranian Constitution does have the mandate to assist civil authorities in times of national emergency. However, the Sepah has not directly intervened in law enforcement or political issues since the revolution as Iranian law enforcement and police is quite robust as was evident in 2009. Also the Generals you mentioned are up for retirement soon and will be replaced anyway as is normal practice. The IRGC operates as a Praetorian guard and will exert pressure if they think Iran's national interests or security is threatened. That is why considering the national stake in the nuclear program, it simply can not be rolled back as the Sepah and even Artesh high-command will step-in. So to answer your question in a simple "yes" or "no" would be disingenuous and presumptuous. "However,since the revolution the military command has been totally professionalized"
@Are you serious? With the likes of Haji Firoozabadi the ex veterinarian god help the "professionalised" "military command". Also I would like to know where did the "commanders" of this "professionalized" "military command" receive their training from? Because the previous officers of the former Imperial government had to study a number of years to become officers.It was the former staff of the IIAF that halted Saddams advances into Iran after being released out of mullahs dungeons.It was the men of the Imperial army who knew how to operate and manage their equipment in the theatre of war not some self oppointed Haji and Halabee be doosh. "However,the Sepah has not directly intervened in law enforcment or political issues since the revolution"
@Seriously? How the hell do you think the "Preatorian Guard to protect the revolution",with flowers? 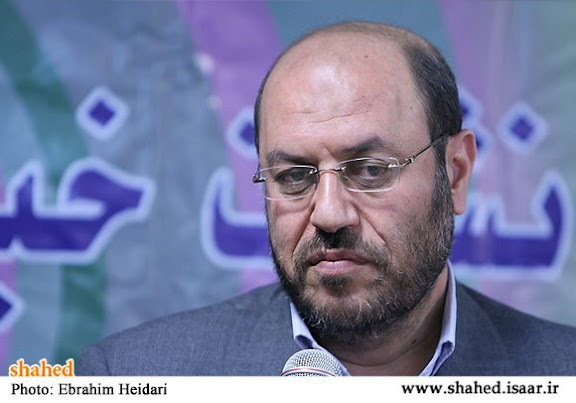 The Basij is under the command of the Sepah so therefore the Sepah is directly involved in the suppression of the nation.The Sepah is directly involved in politics because of their protection of a corrupt and barbarious system that enforces its will on a oppressed people.Not only that,the Sepah also control 80% of the Iranian economy. "Iranian law inforcement and police is quite robust as was evident in 2009." @Millions came out into the streets back in 2009 riding Mousavi the donkey.But the donkey and his minions showed their true colours and bolted.Leaving the real opposition to the regime to be identified and arrested.If it wasn't for the lack of leadership,organization and planing the masses would have overwhelmed the security forces leading to the downfall of the regime.So therefore it was the weakness of opposition in identifying the mozdors of the regime(the undercover agents among the crowds and others)that allowed the regime to get away with it by deceptive crowed control methods. "Iran's national interests or security is threatened." @The regime doesn't give a damn about the national interests of Iran because if they did they wouldn't have said that "Syria is more important than Khuzestan". Which is an insult to those brave soldiers who have fallen in the defence of Khuzestan. They wouldn,t have allowed the Chinese to take over the southern ports and railways on a 25 year "lease" by controling its duty by 70% and 30% for Iran. They would't have allowed the 50% of Caspian sea resources be shrunk to 13%. They wouldn't have donated and built schools and hospitals for a country like Iraq that is as rich in resources as Iran.While our children have to study in barns and coverted buses. They wouldn't have given $7 Billion for the up keep of the Assad regime while there are pressing problems in our own country.And the list can go on. What you have read above is a lot of rubbish. The simple answer to your question is a resounding NO as the role of the minister of defense in IRI is just a ceremonial post so there is not an empty seat in the cabinet. He doesn't have anything to say. The IRGC is controlled by Khamenie and report directly to him. The regular Iranian army has been infilterated by the eqviv. of Soviet styled "Political Commissar" (Mullahs) to keep an eye on them. There is gray zone between IRGC or Basij members and when needed (In case of peaceful demonstration in 2009) they take off their uniforms, put on civilian clothes and beat and kill innocent people. That guy, I must admit, has one ugly mug! The indians and chinese are both looking at developing Chabahar Port to the tune of 100 million,I suppose you`re against that too,but I could find no information on any "Chinese to take over the southern ports and railways on a 25 year "lease""
Sorry, but this complete drivel as usual. If Iran did not have a competent military Iranians would be speaking Arabic today. Please control your emotions and save us the chai-khaneh gholov. Anon 1:41 AM.....Yes as I said the former Imperial governments trained army and air force stoped Saddams army in its tracks.As for Iranians speaking Arabic ask your leader Rafsanjani who back in 1983 said,"God willing in 25 years time Arabic will be our main language".So who is the real enemy? What are you trying to say? I said that they all look like bloody criminals.